If there is one way to brighten up your plate at the end of winter and in early spring it is with root veggies. Either you are enjoying ones from storage or you are pulling them out after a whole winter in the ground getting super sweet and yummy. So to get in all those yum to our life we are eating a lot of roots these days while we patiently await the first veggies of spring. 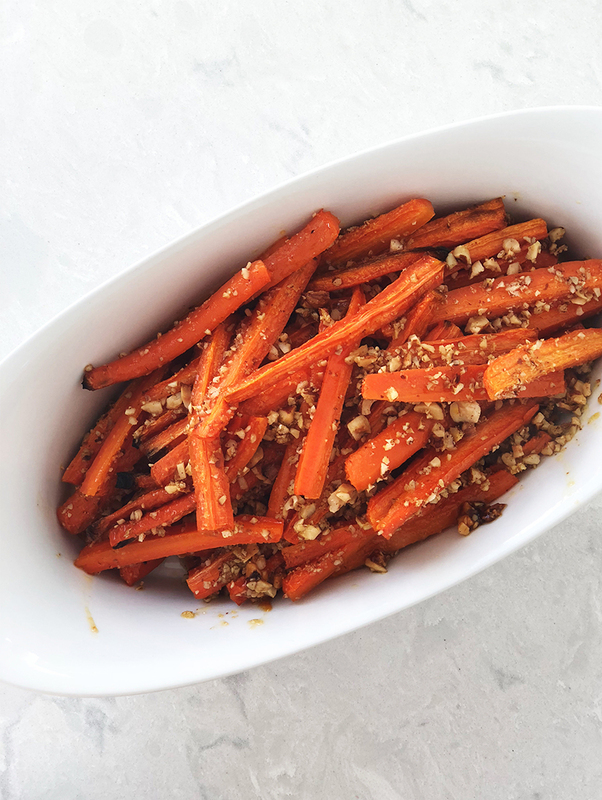 Carrots are one of our top go-tos for side dishes or toppings on a raw salad. Some roasted roots are always a win around here. 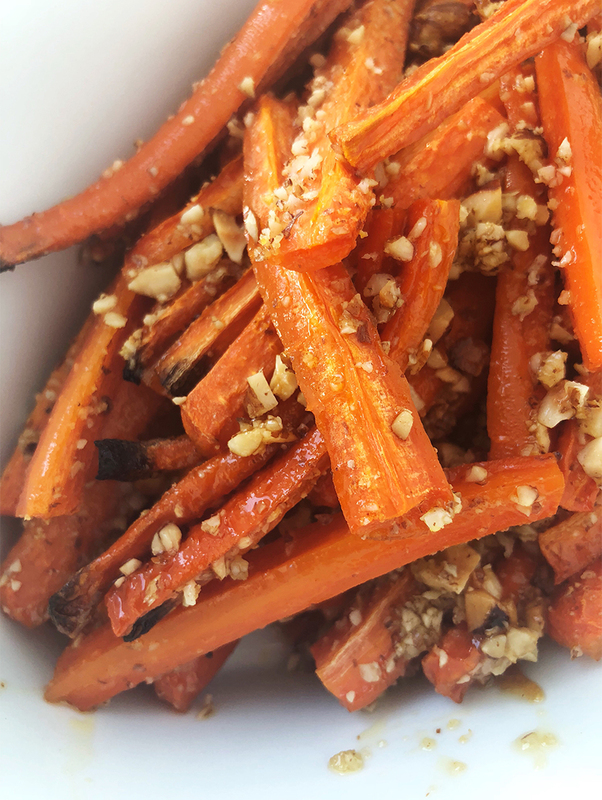 So I thought I would share a great recipe to mix up just the simple practice or roasting carrots with olive oil and rosemary and salt and pepper. TWO: Trim and peel the carrots and cut in long slices. As trimmed and cut place in a bowl. THREE: Add Honey, chopped nuts, and melted butter (or oil) and toss together so thoroughly covered. Do you have a favorite way to eat carrots? Is there a recipe you swear by! We love this one because it is a family favorite and a great way to get Hayes eating all those roots we have right now. My carrot favorite is pretty similar, although it also requires other veg like parsnip or pumpkin. Instead of honey we use a heap of thyme and garlic. I have to try out this honey variety though, especially since our daughter is just turning 1! 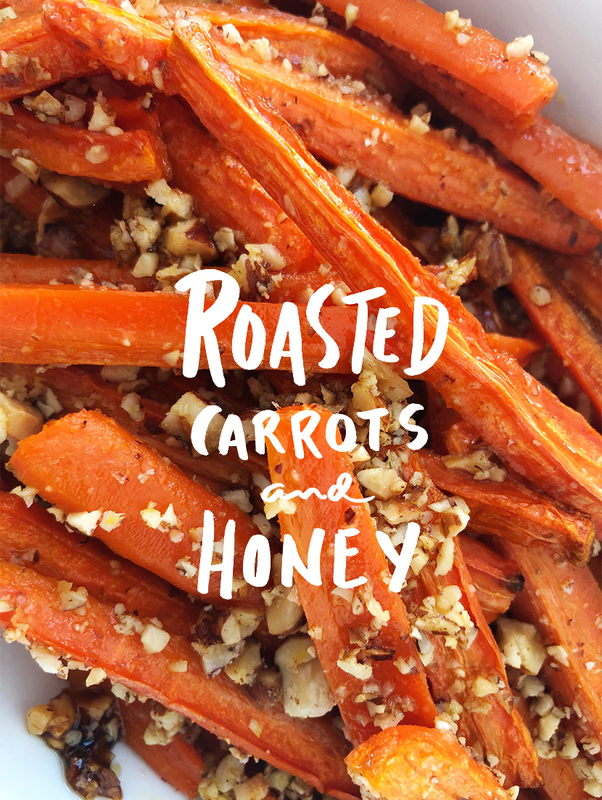 Carrots are definitely one of our favorite root veggies. We eat them at least 4 – 5 times per week. WE usually just give them a light steam but sometimes we’ll roast them with olive oil and a sprinkle of rosemary. This looks AMAZING! tHANK YOU SO MUCH FOR SHARING. i’M DEFINITELY ADDING THIS ONTO MY DINNER PLANS TONIGHT! Sounds delicious, but I have one Question. You write 1/4 local and fresh Honey. How much is 1/4? Oh my that is embarrassing. It should be a 1/4 cup but you could use a little less depending on how sweet your carrots are.